During the late 19th and early 20th century elaborate moustaches were often seen as a status symbol and worn by the wealthy. 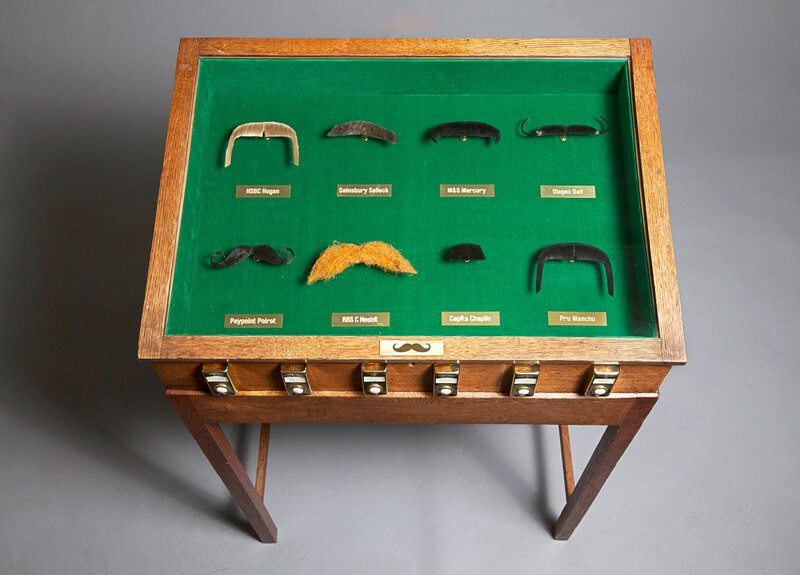 Moustache Index takes these symbols of wealth of a bygone era to create a physical data visualisation of, what has for some become a contentious source of wealth today, the stock market. Each moustache represents a company on the FTSE 100 with it’s stock symbol labelled below it, e.g. “The HSBC Handlebar”. The angle of each moustache follows the current tangent of its company’s stock price graph.